Everyone loves penguins and this pillowcase set for him and her is perfect for any loving couple's bedroom. 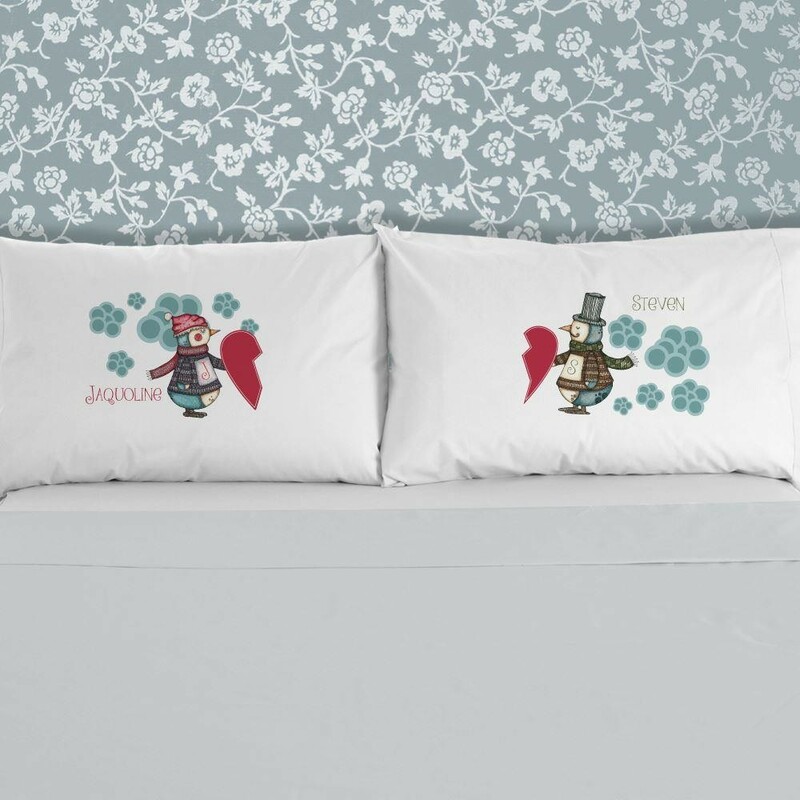 Both pillowcases feature a penguin with half a heart and when they are displayed together they make a whole heart. This gift is personalised in house so his and her first initial and names can be added. The luxury pillowcase is made from Egyptian Cotton. Colour: White. This gift is printed in house so any birthday girl's name can be added. Dimensions:50cm x 75cm so it fits any standard sized pillow inside. Washing instruction: use a cool machine wash and turn it inside out to get the most out of the printed pillowcase.